06/17/15 - Todd Trainer Now Teaching Drums Online! Click HERE to pre-order your copy of The End of Radio on 2xLP or 2xCD. Also available as a bundle with a Shellac Lomo Logo t-shirt. Shellac record number 16, The End of Radio, is comprised of two previously unreleased BBC Radio Peel Sesssions and will be available June 14, 2019, on Touch and Go Records. its usual sporadic and relaxed pace. 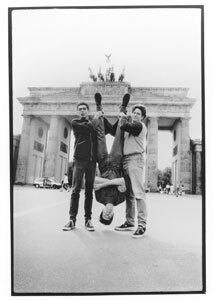 Shellac will have a new LP anytime between now and the future.